Living, learning and loving! Fitness - Day 01 - Living, learning and loving! This is the day 01 in my new fitness journey. Its a brand new world out there which I’m just getting to explore now after being a gym-going person for more than half my life; this number is currently at 22 years. And why now, why suddenly get into writing and logging the progress in something that I should have mastered by now? Good question. It all happened one day when I looked in the mirror and realised I had gone downhill FAST. Sure, I can blame it on many different things, external circumstances, life events, heck even on other people like my ex. But truth be told, even though I think those things influenced me, the ultimate choice was mine and mine alone. Its my responsibility to take care of myself, to eat right, to exercise and keep healthy. Blaming the depression or living circumstances in Africa at the time, is a childish way to excuse my behaviour and lack of will power. Now, 4 years later, I have lost my fitness level, my confidence and most of all my desire improve…until now. I like to tell myself that its because I don’t want to deprive myself from eating what I want, its because I don’t have any reason to be fit, that I can get fit again whenever I wanted to. So I tried. I started to workout at the gym with my regular routine, a nice basic 8 muscle routine. Next I did the 5×5 sets for strength, and boy did I get strength! But I did not lose weight. I enrolled into a martial arts class, well two actually: Hapkido and Taekwondo. I had been doing Taekwondo for many years (in the first pic), so I thought it would be a breeze back to fitness. I got a weighted jacket and ran 5-8 km with 10 kg on my back. It was all awesome, I was a strong beast with great endurance…but with nothing to show for it physically. Nada. Nothing. Res. Now, 1 year later, I give up. I give up doing things my own way, and I need help. Coming to this realisation was tough, I did not like to admit I was doing something wrong. In fact, not only something, I was doing EVERYTHING wrong. 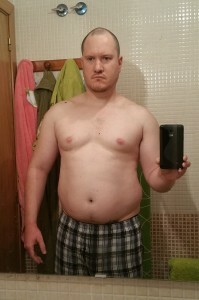 Two days into proper research gave me a couple new workout plans, a diet and I learnt more about how the body burns fat that in all my years before. This set of posts on fitness are my personal journey into this new world that I am just learning about, and the experiences going through this, for me to analyse and review years up the line and for anyone that may benefit from my experiences.